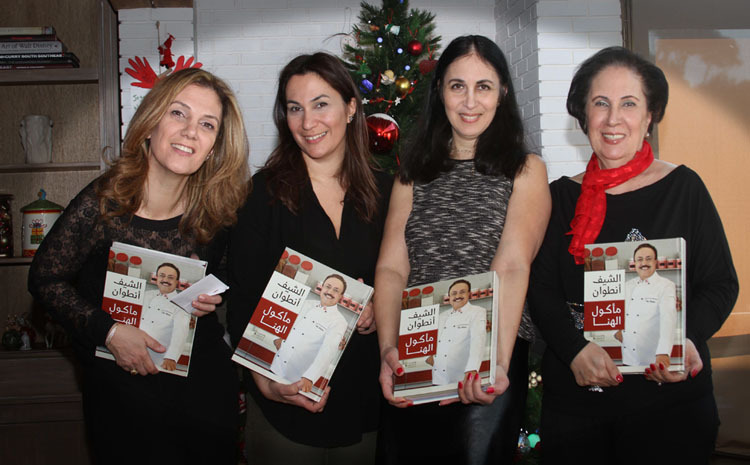 Last Christmas, during our annual family party, my dad, who worked closely with chef Antoine Hajj, offered for each one of us, a copy of his book: Maa’kool Al Hana. A quick note for my western readers; Chef Antoine is a Lebanese celebrity chef who has a TV show and the author of the cooking book Maa’kool Al Hana; an approximate of 600 pages cooking book!! We all loved dad’s Christmas gift. Especially that it had a personalized dedication inside from Chef Antoine himself. During this past year I tried many recipes from the book, but the one I want to share with you today is a recipe that several readers have requested. 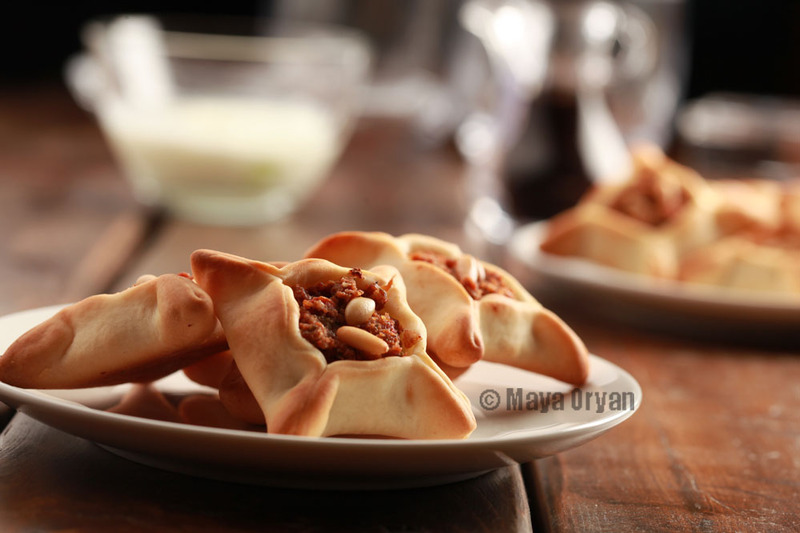 It is The Lebanese Meat Pie or Lahm Bi Aajeen. In a bowl, pour butter over flour, add yeast and salt and mix using your hands or a food processor. Add water gradually and knead until the dough is consistent. Cover with a tea towel and let it rest for half an hour. In a deep bowl add meat, onion, tomatoes, pine nuts and pomegranate molasses, season with salt, pepper and cinnamon and combine well. Flour your work surface and flatten the dough to 5mm (1/3 inch) thickness. Cut in into 10cm circles. You can use a cup if desired or take balls of dough the size of eggs and press each into a round by hand. Place the dough on a floured baking tray and spread two tablespoons of meat mixture into the centre of every circle. Pinch together the two opposing ends of the circle and then the two opposing other ends, to make square shapes, leaving the top open. Heat the oven at 200°C. Bake for about 10-12 minutes, until meat is fully cooked and the dough turns crisp and golden. This entry was posted in Appetizer, Breakfast, Main Course and tagged Chef Antoine, Forn, Lahem Bi Aajeen, Lahm Bi Ajeeh, Lahmacun, Lebanese food, lebanese food blogger, Lebanese food stylist, Maakool Al Hana, Maakoul Al Hana, Meat Pie, Mezza, middle eastern food, Mouajanet, Sfeeha. Sfee7a, Street Food by Maya Oryan. Bookmark the permalink. What a special gift. That is really neat!